A unique way to travel through Wales is by postbus. Welcome to the official website for all Americans traveling to Wales. 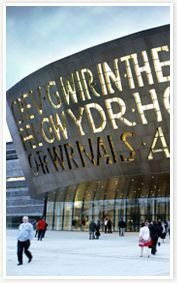 We’ve put this site together to help U.S. travelers get the most from their time in Wales and to make planning a trip that much easier. You can order free copies of our brochures, find out about vacations you can book, and see the latest vacation ideas and special deals. Wales is a captivating part of Britain not to be missed, and once there, you’ll find a warm welcome awaits you. Rich in history and culture, steeped in myth and legend, as much an experience as it is a place. Oh, and there are hundreds of castles and some really fantastic scenery, too. 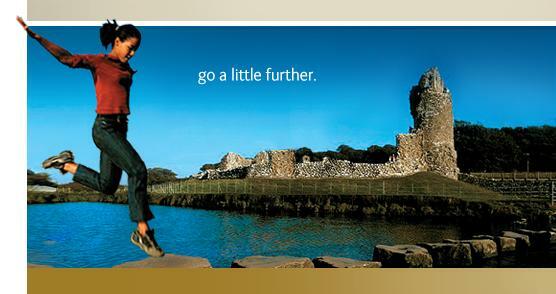 So when you next visit Britain, go a little further … and visit Wales. You’re practically there already! Whether you’re traveling on vacation, to trace your ancestors, to visit relatives or on business, we hope you’ll find this site of interest and of value. We look forward to welcoming you to Wales in 2006.